Tim Jackson is Director of the Centre for the Understanding of Sustainable Prosperity (CUSP), and Professor of Sustainable Development at the University of Surrey in the UK. CUSP builds on Tim’s vision over three decades to explore the moral, economic and social dimensions of prosperity on a finite planet. He’s served as an advisor on sustainability to numerous commercial, government and intergovernmental organisations. Between 2004 and 2011, Tim was Economics Commissioner on the UK Sustainable Development Commission, where his work culminated in the publication of his controversial book Prosperity without Growth (Routledge 2009/2017). In 2016, he was awarded the Hillary Laureate for exceptional international leadership. In addition to his academic work, Tim is an award-winning dramatist with numerous radio-writing credits for the BBC. From 2013 to January 2017, Tim held a Professorial Research Fellowship on Prosperity and Sustainability in the Green Economy (PASSAGE). From 2010 to 2014 he was Director of the Sustainable Lifestyles Research Group (SLRG), which aimed to develop evidence-based advice to policy makers about realistic strategies to encourage more sustainable lifestyles. 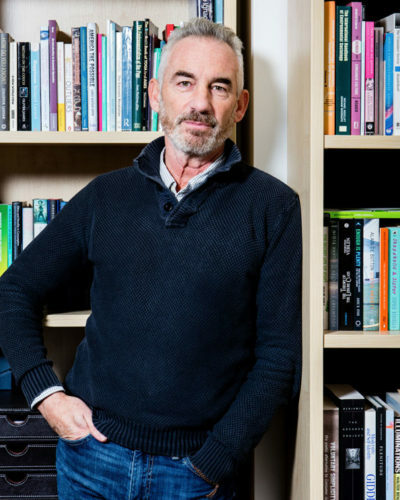 From 2006 to 2011 he was Director of the ESRC Research group on Lifestyles, Values and Environment (RESOLVE), a novel cross-disciplinary institution at the time, set out to unravel the complex links between lifestyles, values and the environment. Following his Professorial Research Fellowship on the social psychology of sustainable consumption (2003–2005), Tim published his widely cited report Motivating Sustainable Consumption. A respective Earthscan ‘Reader’ in Sustainable Consumption was issued in 2006. From 1995 to 2000 Tim held an EPSRC fellowship on the Thermodynamics of Clean Technologies. During five years at the Stockholm Environment Institute in the early 1990s, he pioneered the concept of preventative environmental management—a core principle of the circular economy framework—outlined in his 1996 book Material Concerns: Pollution Profit and Quality of life. Tim has served in an advisory capacity for numerous Government departments, Intergovernmental organisations, non-governmental organisations, private sector companies, and delivery agencies. From 2004 to 2011, Tim was Economics Commissioner on the UK Sustainable Development Commission (SDC), where he led the Commission’s work on redefining prosperity, sat on the UK Government’s Sustainable Consumption Roundtable and contributed to the UK’s 2005 Sustainable Development Strategy. His work for the SDC culminated in the publication of his groundbreaking book Prosperity without Growth, recently re-published in a substantially revised and updated edition. In 2016, Tim was awarded the Hillary Laureate in recognition of his international leadership on sustainability. Tim has given more than 400 international keynote presentations and appears regularly in the UK and international media. Video and audio recordings from his talks and interviews may be found on the talks & interviews page.